Data science is the process of extracting useful information from data. As a discipline, it remains somewhat ill-defined, with nearly as many definitions as there are experts. 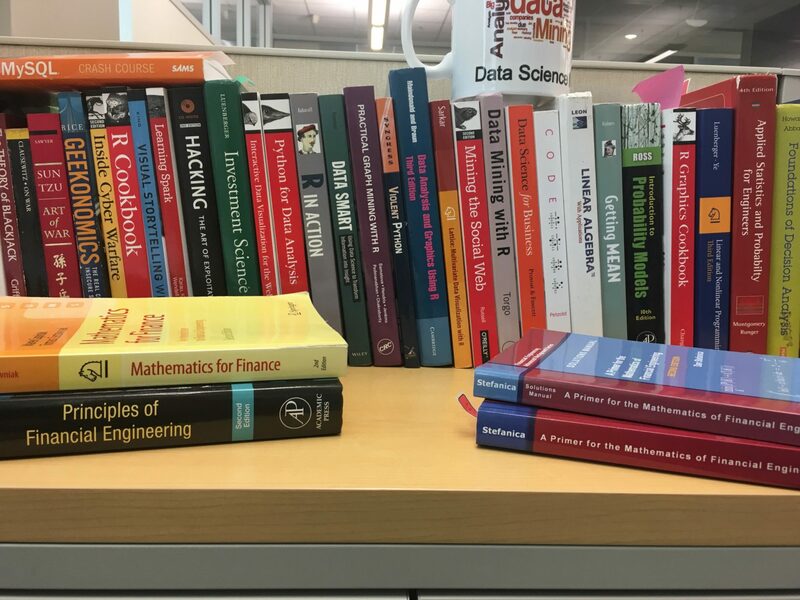 Intellectyx being the best digital transformation company in USA bring to you the best data science books that you should read in 2019. A great book to kick-start your journey into data science, Thomas H. Davenport’s Big Data at Work gets into the big picture. The ‘how’ and ‘why’ of data science matters immensely to organizations. We recommend it as a good first read because it gives you an insight into the industry, and familiarizes you with all the terminologies of data science. A lot more textbook-like than our previous recommendation, this is a great book for beginners who don’t have much exposure to predictive modelling, and want to enter the world of data science. If you’re planning to do your PG Diploma in Data Science, it gives you a solid foundation into the nitty-gritties of statistics. Best of all, it’s free! This book is simply the best resource to start working with R programming. From file input / output, data manipulation, merging and sorting to building a regression model, this book has it all, and is a fantastic resource to have by your side even as your career progresses. The internet – the great repository of data about you, your friend, her cousin’s cat and lot more! Learning the basics of web analytics makes you an invaluable resource to companies and businesses that are struggling to be heard on social media and internet platforms, and this book helps you do just that. Coming back to textbook-y recommendations, this book assumes no prior knowledge of data mining, although we admit, it’s much easier to digest after you take a day to brush up on your high-school algebra and calculus. Bishop talks about how the vast amount of ever-increasing data and machine learning are being leveraged by data scientists to create computers that make better and faster decisions than any human ever could. You want to be that data scientist! This one is for all our entrepreneurially-minded readers! Teeming with specific and actionable advice and examples, Lean Analytics is full of guidance about how to create data-driven products and market them. Say hello to your startup dreams by learning the basics of product development and data analytics. It’s a textbook for fresh graduates in many colleges. Discusses both theoretical statistics and the practical applications of the theoretical developments. Includes a large number of exercises covering both theory and applications.